(TriceEdneyWire.com) - Recently police arrested a young teen in Charlottesville, Virginia. He’d made a racist threat against minority students—both Black and Latino. Why? Who will ever know, but it was apparently for no reason other than the color of their skin and the culture of their birth? One has to wonder if he experienced love or hate at home and is Donald Trump a regular of what the family hears on the news. With so many people not just in Charlottesville still grieving over the tragic loss of Heather Heyer, how could a teenager reopen those wounds without adult leadership? My heart goes out to Heather’s Mom and family to have to face this same hate that killed their loved one who was out seeking justice when she was murdered by a hater. Every time some of us naively begin to think we’re more civilized now than we were during slavery and the immediate aftermath, hate seems to rise again. This time, the hate is compounded because it not only includes Black people, but it includes anybody who’s deemed to be different from white people. I wonder if the average white person feels a responsibility to come up with a solution to white hatred. I know where they can start. Rise up as Black people so often have to do, and decide not to tolerate such reckless behavior. Hate is destructive to the hater, but it’s also taking the lives of too many good and decent people. If we’re going to be called a civilized nation, it’s important to at least elect decent leaders. Whenever something negative happens in the Black community, we’re expected to fix it. It’s time for white people to fix their community because that is where so much hate is coming from against people who’re not classified as white. Just as all Black people aren’t to blame for what all Black people do, I’m not blaming all white people. I’m saying if anybody can fix the white community, it’s white people. Some of the most heinous crimes have been committed by white people. Look at the New Zealand tragedy. 50 people are dead because of white Islamophobia. In Tulsa, many people were massacred by white people and a whole community was destroyed. At Texas A and M, nurses were killed by a white person. In Rosewood, Florida, Black people were massacred for no reason. Thousands of Black people were lynched by whites simply because of the color of their skin. Thousands of Black people were stolen from their home and enslaved. An untold number of Native Americans were murdered and had their land stolen by white people. Isn’t it time white people take some responsibility for the hateful acts by their people? They must teach their children about respect for others and about love for all of God’s children. Let’s take another lesson from the PM of New Zealand when she not only rejected hate verbally, but showed what real leaders do. She began work with her legislature to try to prevent such a tragedy again. White people need to show the U.S. white president how to do something about hate other than say, “There are good people on both sides.” Hate is destroying America, and the rest of the world is looking down on us. We’re no longer the leader, and we won’t be the leader again until all of us begin to show some love for all instead of hate. 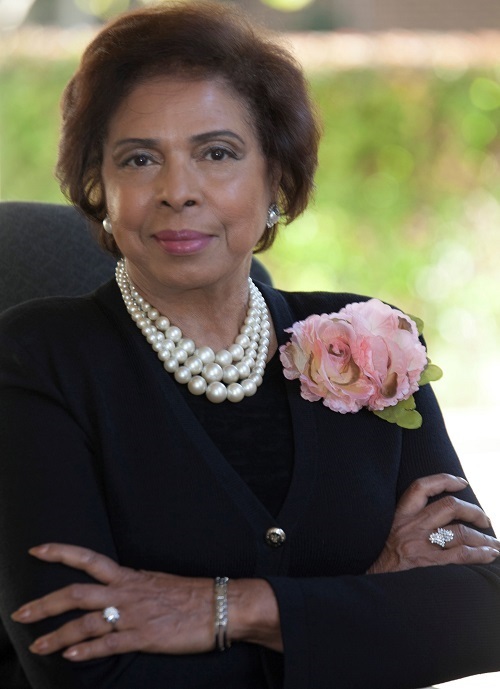 (Dr. E. Faye Williams is National President of the National Congress of Black Women. www.nationalcongressbw.org. She also hosts “Wake Up and Stay Woke” on WPFW-FM 89.3).